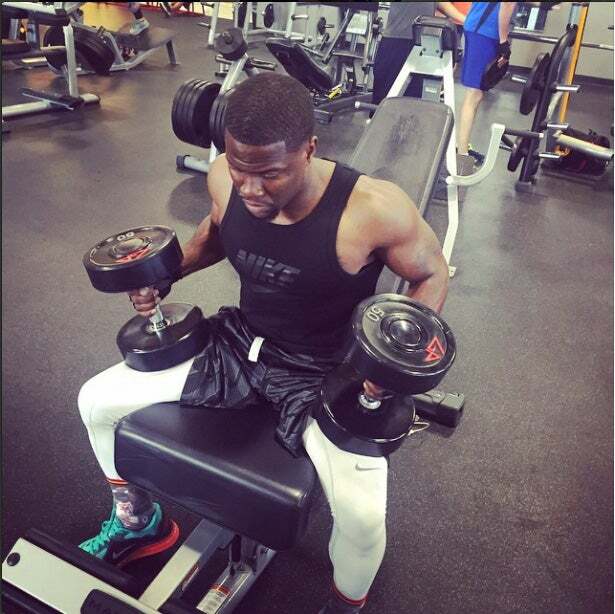 ESSENCE Fest headliner Kevin Hart on his fitness goals and his dream of having 8-pack abs. You might as well refer to ESSENCE Fest headliner Kevin Hart as Dr. Hart from now on because he’s making your health his No. 1 priority. The comedian is teaming up with Rally Health, a digital service that helps people monitor their physical activity, become more engaged in their wellness and lead healthier lifestyles. Hart knows the importance of staying in good shape. He’s currently on his WHAT NOW tour, which means a lot of late nights and early mornings that can really take a toll on the body. But that doesn’t mean his fitness game is slacking. Just scroll through his Instagram to see proof of his get-fit lifestyle. “Right now the goal is just to get my 8-pack together. I’ve got six of them, so I’m just trying to get the rest of those,” Hart says of his numerous gym selfies. Even though he’s known to joke around, as the official ambassador for Rally Health, Hart’s goal is to motivate people to get serious about the future of their health because the truth is, we all only have one life to live. Hart has made a career out of helping people feel better and teaming up with Rally Health is the next step toward spreading wellness through laughter and motivation. And at the end of the day, Hart still believes laughter is the best medicine and his stand-up is sure to give you the best workout of your life. Learn more about Rally Health by following #RallyWithKevin on Twitter.